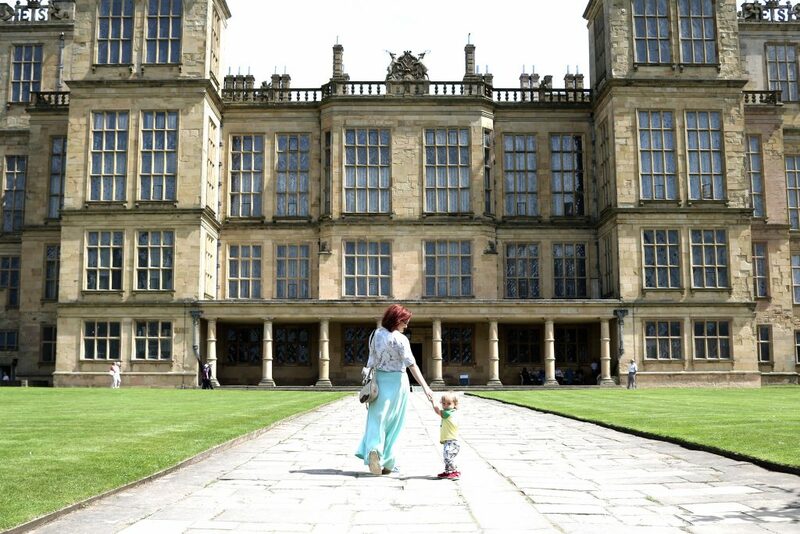 It was a beautiful sunny day, and we were very lucky… as this was the day we had planned to go on a big family day out at Hardwick Hall! 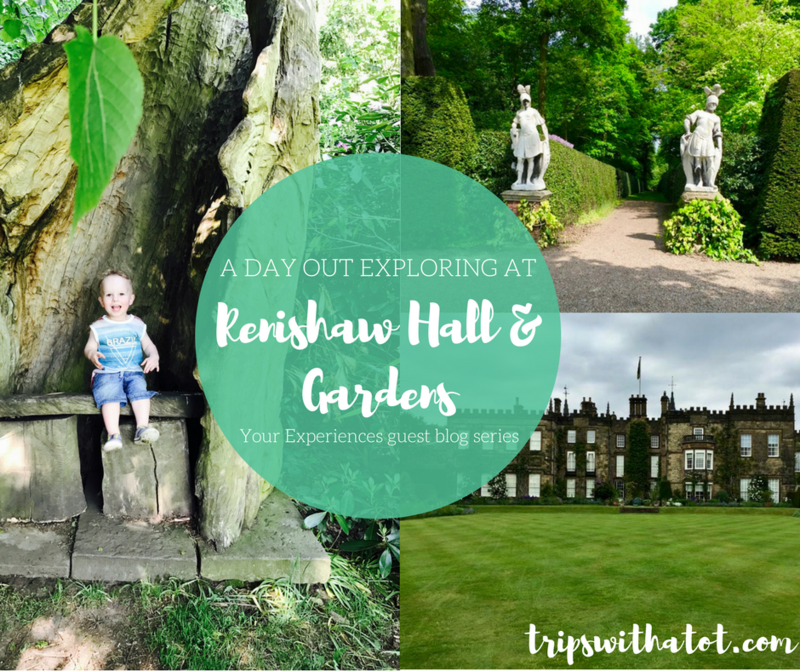 We have had many days out at National Trust, but had never visited Hardwick Hall before; so I was so excited to try somewhere new! Who doesn’t love going places they’ve never before?! 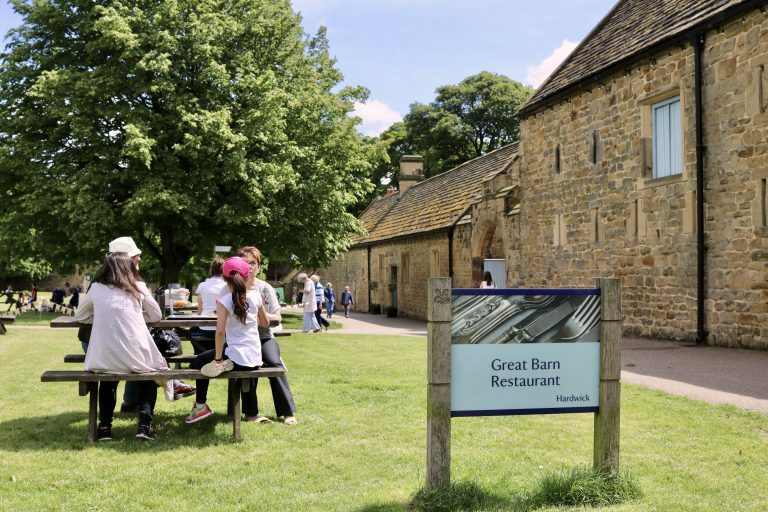 We love history, and we love the outdoors; so a National Trust day out is perfect for us. Watch our video to see what we did! Hardwick Hall, in Doe Lea near Chesterfield is a beautiful, Elizabethan country house with a very interesting history. Originally, the house was built between 1590 and 1597 for the Bess of Hardwick, and was given to the National Trust in 1959. 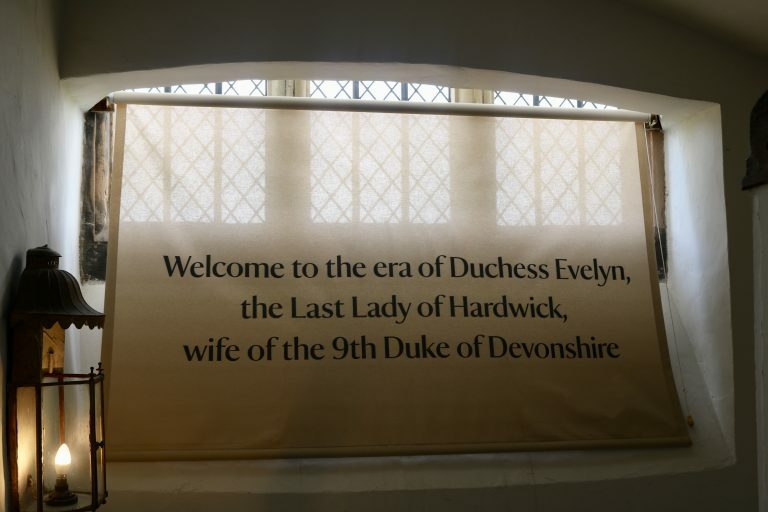 Did you know that Hardwick Hall was home to the forgotten princess, Arbella, who tried to run away to marry but was brought back to Hardwick, imprisoned at the Tower of London and eventually starved to death?! The exhibition rooms in the Hall include lots of historical information, family trees and portraits to learn about Bess and the family tragedy. 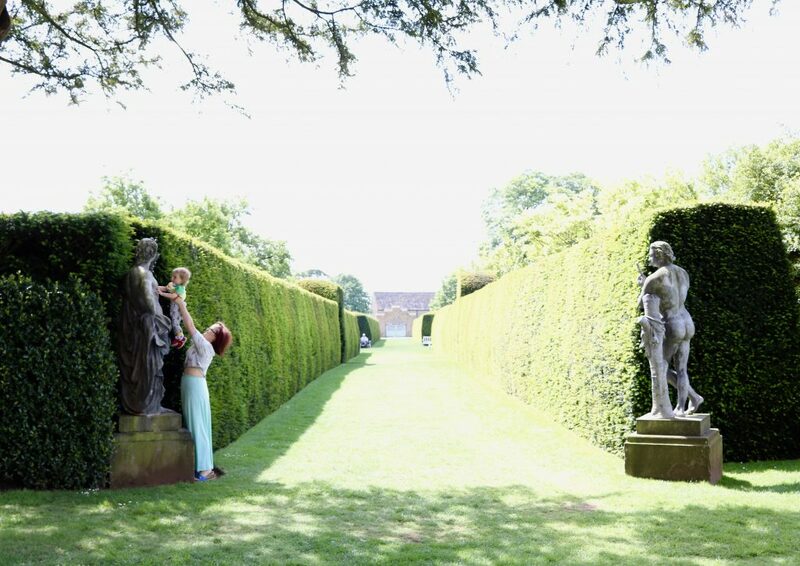 There are acres of gardens at Hardwick, which are so pretty and really relaxing. 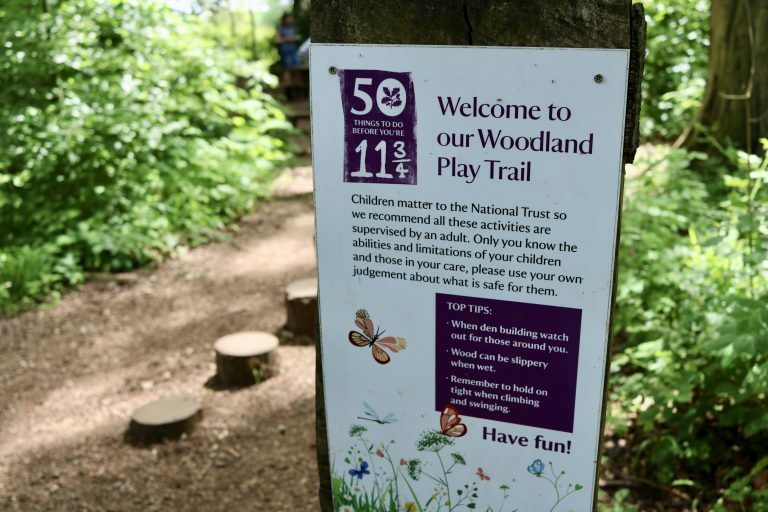 Children can take part in activities from the visitors centre, or complete outdoor tasks from the 50 things to do before you’re 11 3/4. 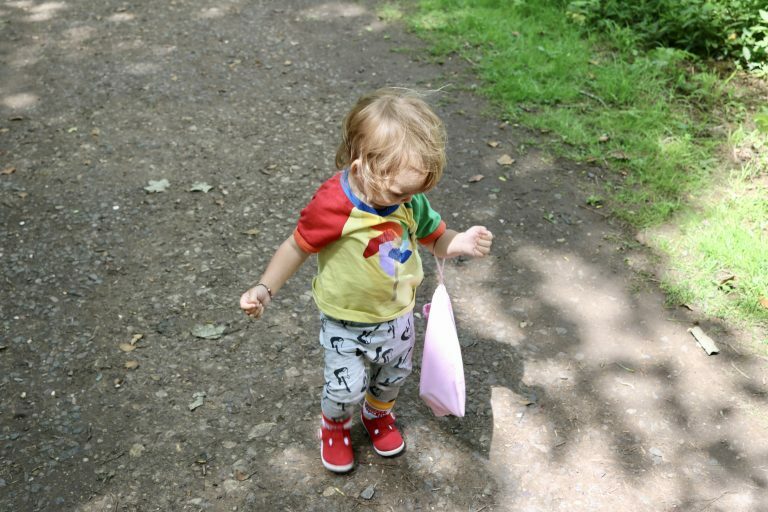 There is a woodland play trail, a restaurant and shops. Every corner there is something else to see, a door to open, nature to enjoy and pretty flowers to look at. 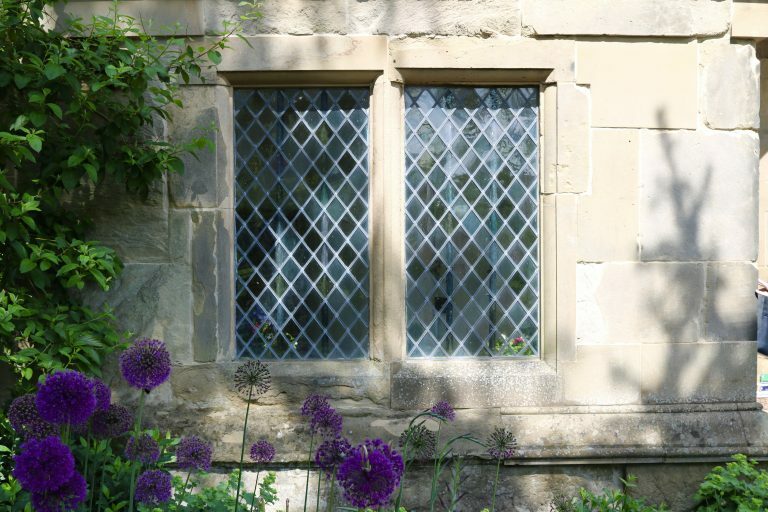 The house is completely open to the public, as are the grounds, so go and explore! 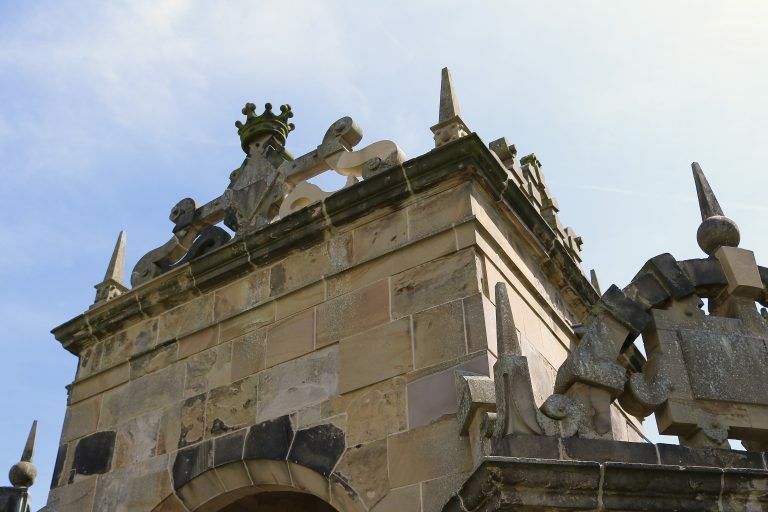 The views from Hardwick Hall right across the Derbyshire countryside make a perfect backdrop to the Hall and Gardens. 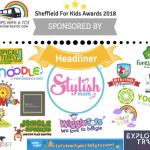 There is so much to do, we couldn’t fit it all in a day! 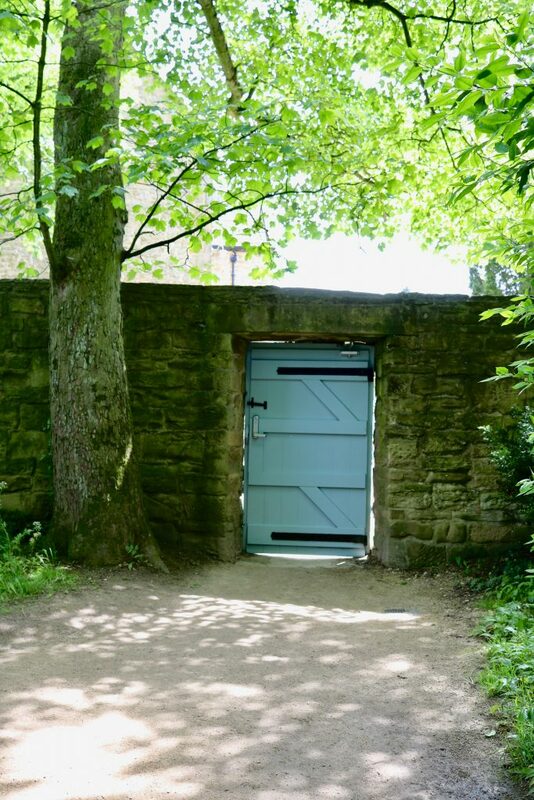 Prices for Hardwick can be found here, and you can choose between garden only (there is enough for a whole day!) or House and garden. I recommend doing both if you can, the Hall is truly fascinating. 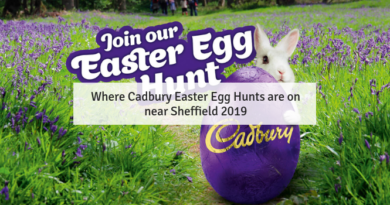 Parking costs £4, and it is about 27 miles from Sheffield. 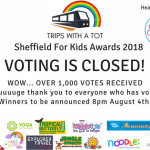 We don’t drive and got to Hardwick Hall by public transport. We got a train from Sheffield to Chesterfield, and then caught the “Pronto” bus service from Chesterfield to Glapwell. It was around a 2 mile walk from Glapwell to Hardwick Hall. The walk takes you through quiet countryside roads before reaching the estate. The estate is beautiful, very picturesque and the road leading upto Hardwick is a pleasant stroll, with sheep and lambs all around. It took our mind off how long the walk actually was and made it a fun start to the day. When we finally got to the Hall, we headed straight for lunch! We were hungry and wanted to make sure our tummies were full before enjoying a whole day out. 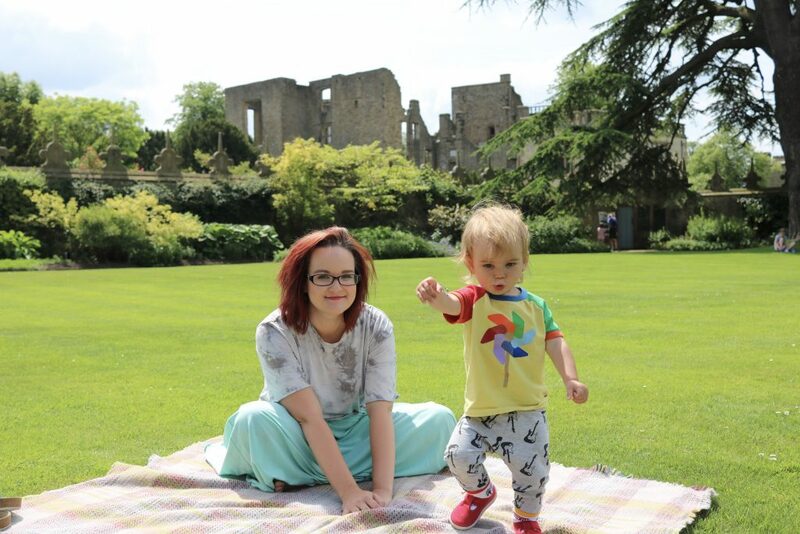 We got a little side-tracked on route to the restaurant though because the gardens at Hardwick Hall are soooo incredibly pretty. I could just wander around all day imagining what it must have been like to live there, the picnics, the gardeners, the maids and all of the stories that the garden walls hold. 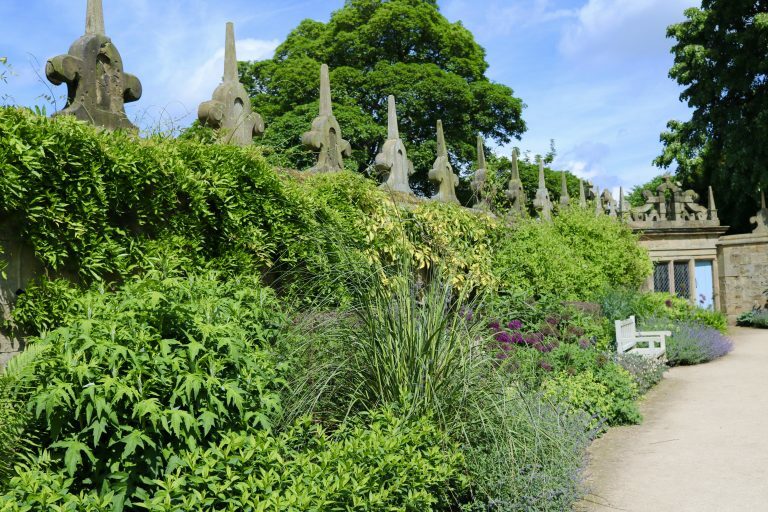 The gardens at Hardwick are beautiful! We had to stop to take photos and admire some of it before we really did get too hungry! 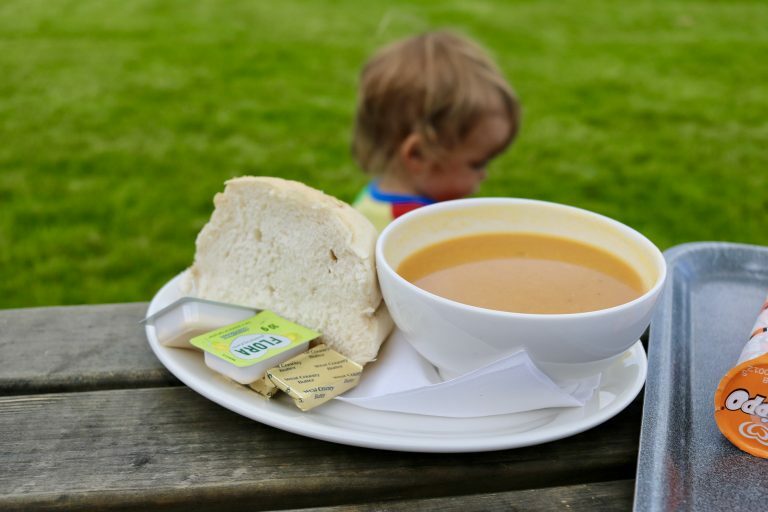 It was the kind of weather for a picnic, but we had decided to treat ourselves to food from the restaurant instead. 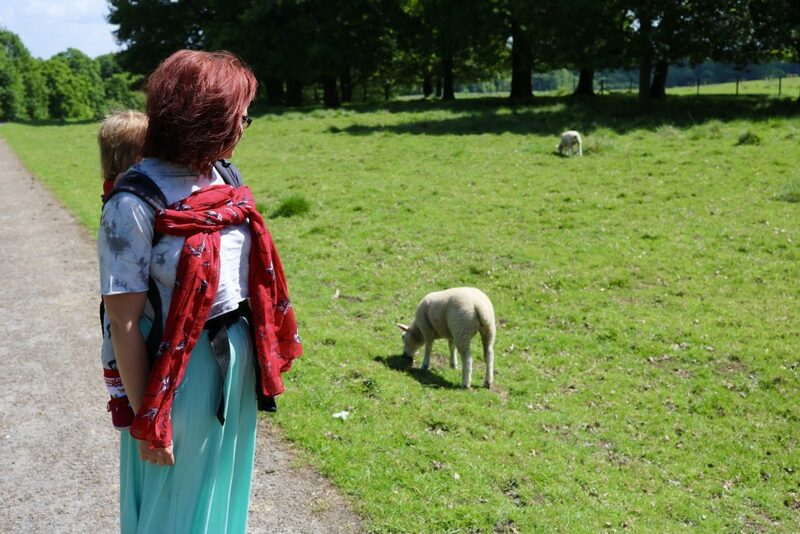 We usually take a picnic with us on our days out, especially as we are vegan and not everywhere caters for that; but we didn’t want to carry it all on this day when we knew we would be walking quite a lot! We headed to the Stable yard for lunch. 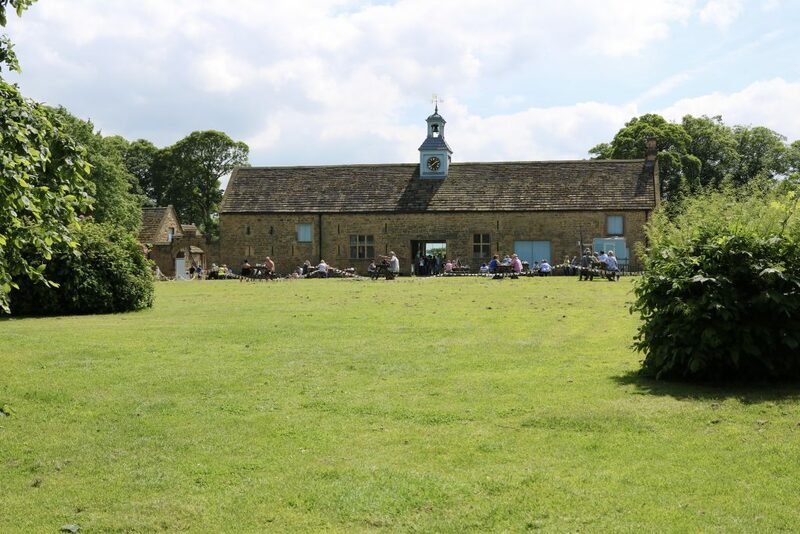 The Stable yard has shops, restaurant, visitors centre and lots of space for picnicking, playing games and enjoying the nice weather. It has a lovely atmosphere and there are cottages which you can stay in; I wish! We visited the Great Barn restaurant for lunch and I was a little anxious. 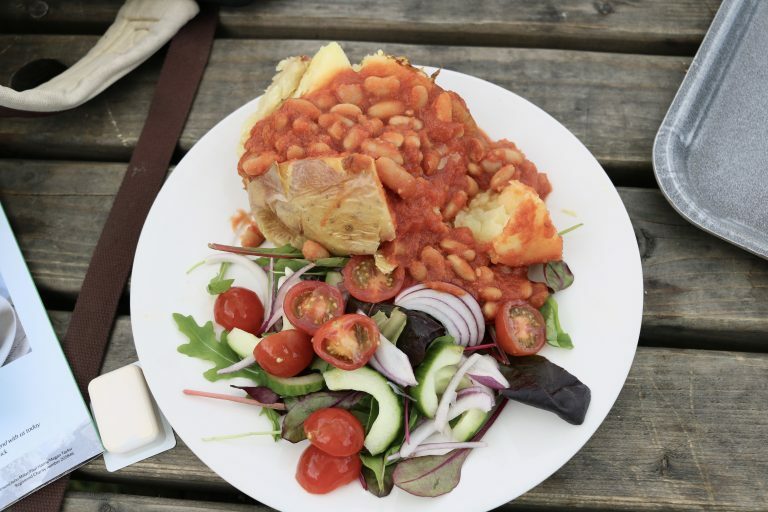 We are vegan, and usually bring our own food; sometimes not a lot of food is vegan at places we go. I asked what options we had and the customer service was amazing from there on until we got our lunch. The chef came to talk to me, he came to our table outside after searching his kitchen, made our food and delivered it to our table. I was pretty impressed! After lunch we borrowed a Bug Hunt kit from the visitors centre, a little bag with equipment needed to help kids successfully complete a Bug activity. 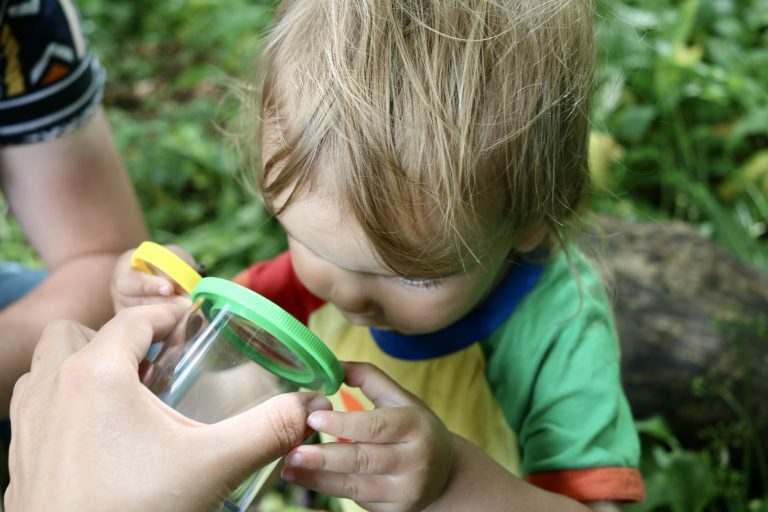 This activity is in the 50 things to do before you’re 11 3/4 by National Trust, how cute is that?! I was really excited to get started! This was Eric’s first time bug hunting and he really enjoyed it. It created a lovely family memory. 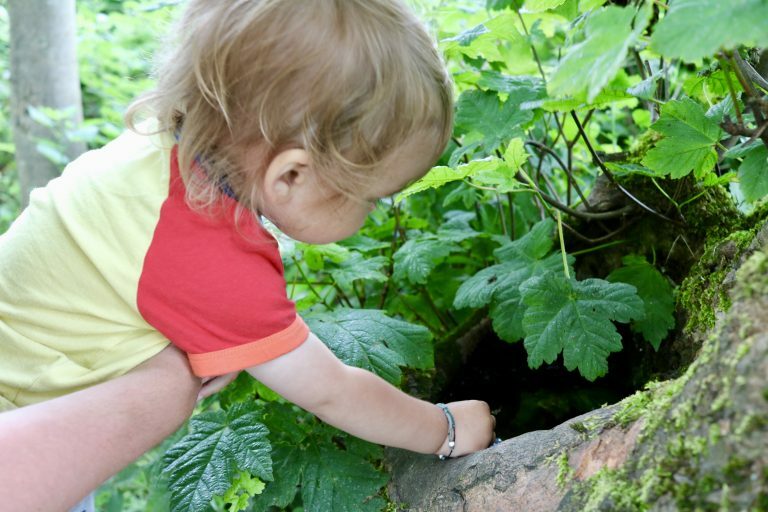 On the bug hunt in the woods, we found a millipede, snails, slugs, ants and a spider. Watch the video to see his reaction! Loves his bug hut bag! 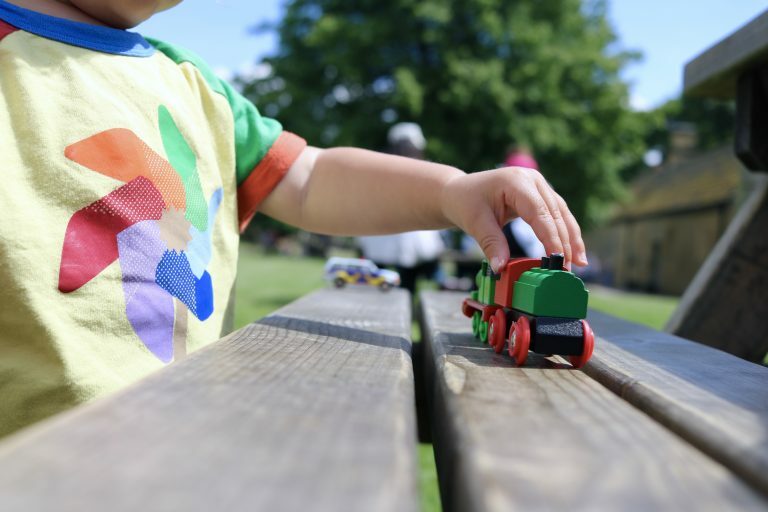 All of the 50 things to do before you’re 11 3/4 activities are in the National Trust outdoors handbook (and a list is available to download here). The handbook is beautifully illustrated and is used like a scrapbook. 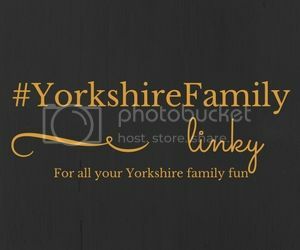 I purchased one of these last year at Ilam Park and it was the first giveaway which I did on my blog Facebook page! Now we have another and are starting to use it for our family adventures to collect memories and complete activities. 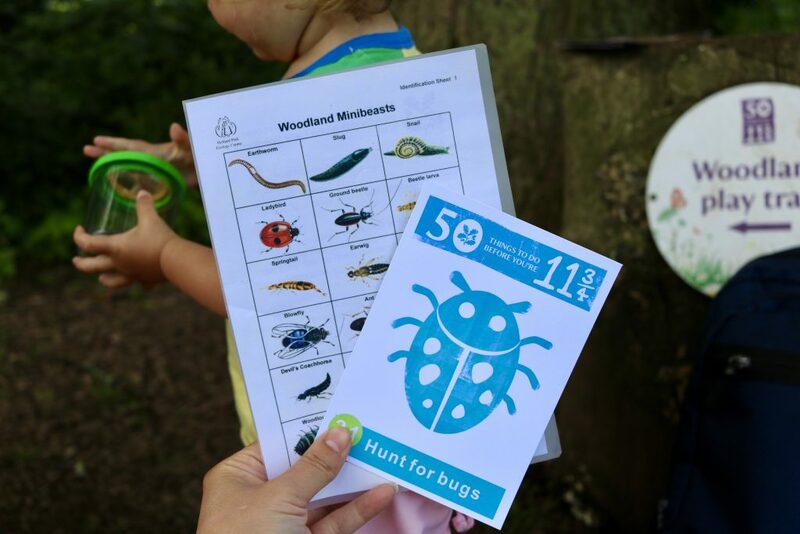 Stickers can be collected from the visitors centre at National Trust days out for the handbook which makes it that little bit more special for kids. Inside the woods on the Lady Spencers walk found a nature play trail; this was so fun for nature play. Eric built a den with his dad, played with sticks, climbed on logs and we all had fun on the rope swing. 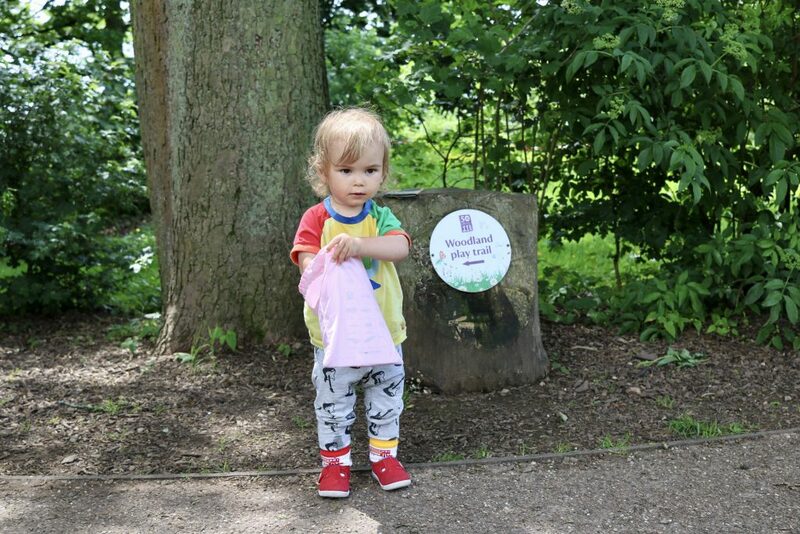 The nature play trail was a lot of fun, but with so much to do at Hardwick we had to leave to fit in the rest of the day. 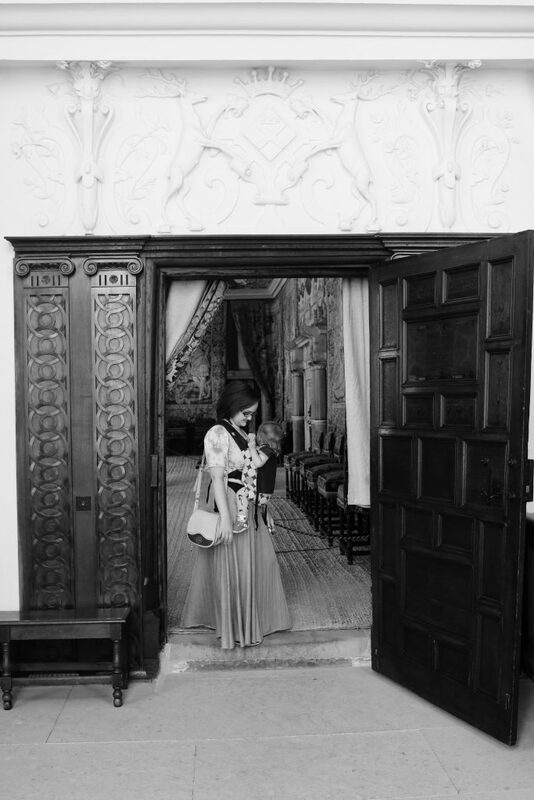 Next on the agenda was a look inside Hardwick Hall… I have to say, this was the part I was most looking forward to. I absolutely love history and being able to explore old buildings, especially those with a really haunting, interesting past. You could say I am a history geek! 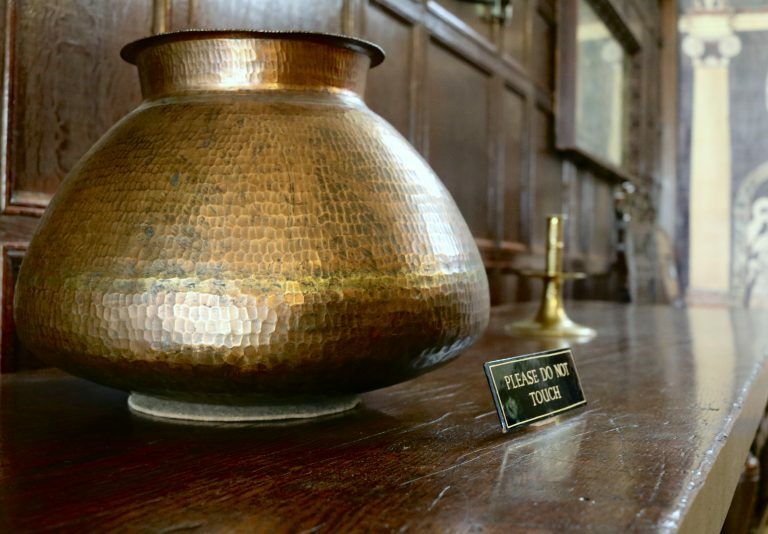 One of my favourite things to do has always been to visit old buildings and National Trust. Hardwick Hall is no exception to this! An elizabethian house which was built between 1590-1597, it is incredibly impressive, and the interior is unspoilt. Hardwick Hall was home to Bess of Hardwick who, after Queen Elizabeth I was the richest woman in England. 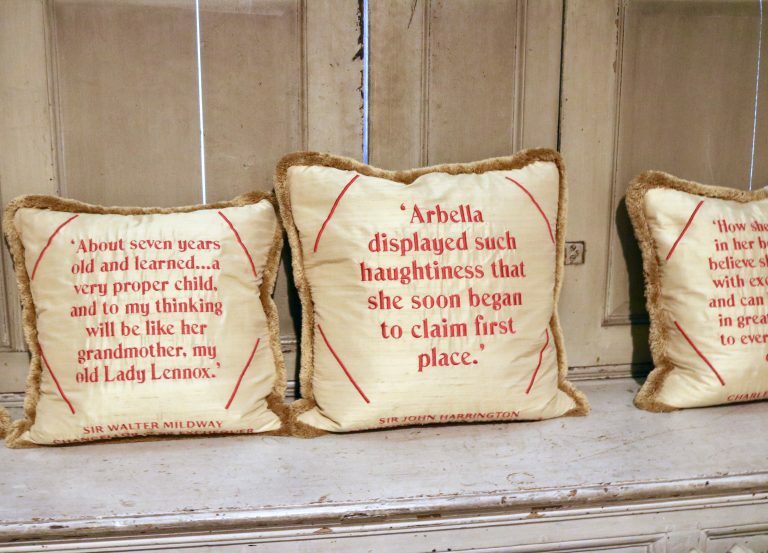 The house is full of information about Bess and her family, with a haunting exhibition about the forgotten princess Arbella Stuart who tried to escape from Hardwick until she died from starving herself after being made prisoner due to an escape in an attempt to marry. Regrettably, we didn’t get many photos from inside as the lighting was quite dark, but you can see some of the Hall in the video. There was so much to see in the hall… it was so amazing to be inside and wandering around just surrounded by history. And amazing tapestries which really are the best I have ever seen. 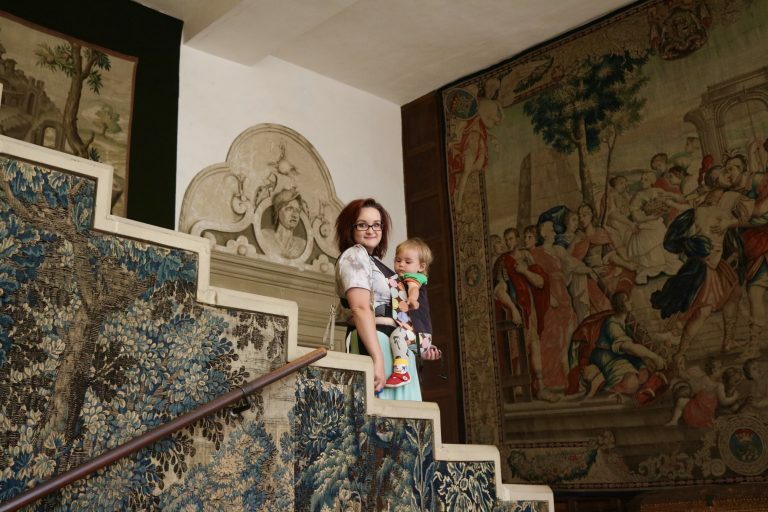 A few months ago, I was at Eyam Hall – National Trust, and loved the bedroom which was full of tapestries so imagine my eyes to see all the old tapestry in Hardwick Hall. It was incredibly impressive, imagine how long it must have taken to make them, and imagine how much they are worth?! I could have easily spent a few hours there taking it all in, strolling from room to room; we were a little struck for time and Eric was a bit fussy so we had to rush and, unfortunately, didn’t take full advantage of it all. I think this is amazing though, because it just shows how much there is to see inside the Hall. It is definitely not a walk in, walk out sort of thing! There is a spooky atmosphere, everything remains just as it used to be… it could easily be still lived in as it was before, and feels like you have walked right into someones house. To learn all about the Hall there are exhibition rooms packed full of information, which tell you all about the history of the family, specifically Arbella. It made me so emotional! It is such a tragic story and then when you realise it all happened right here, right where you are stood… you really do travel back in time, almost. There are helpful, friendly volunteers across the Hall who are more than willing to tell you stories… thank you to the lady who greeted us when we arrived and gave us a quick and interesting history lesson! We were full to the brim of history and very content after the Hall, Eric was getting impatient… I’m sure he’ll enjoy it one day, haha. So back outside we went where he could explore some more. He took full advantage of all the open space, and even though it was half term, it was not busy at all which was really nice. 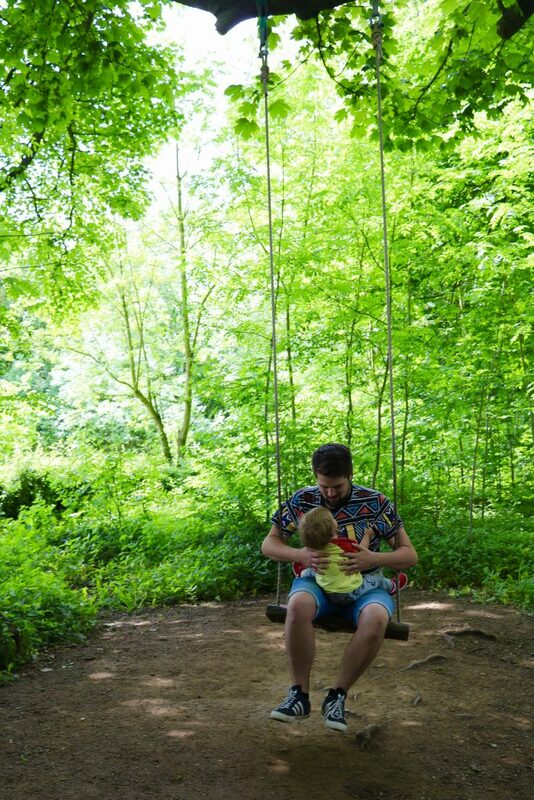 I think on special days out like this, it makes it even better when you feel as if you have your own privacy and can just enjoy the day with your family without worrying about crowds and lots of other people. There were others there, but the garden is so vast; it never felt busy. Eric’s highlight of the day was probably the fairy tale houses. They were so cute! 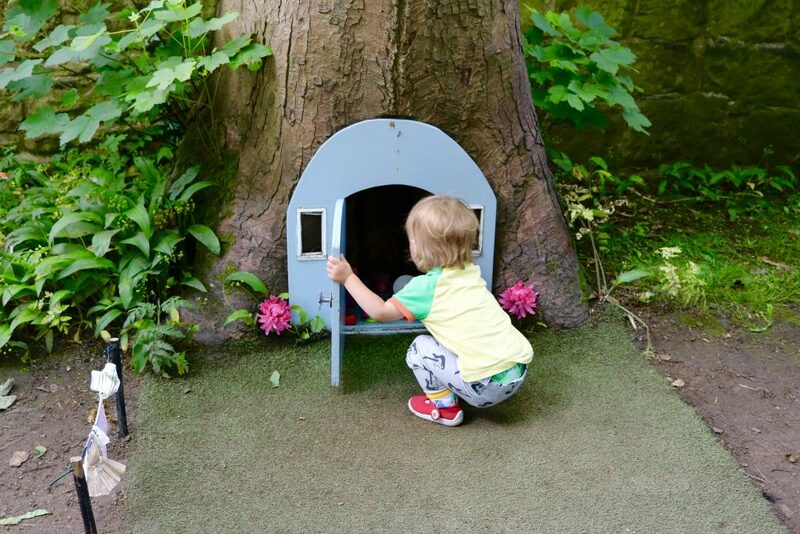 The little fairy tale houses were made into trees with real doors, decorations, even laundry hanging up outside… they were dolls houses to open up and play with but inside a tree. You should have seen Eric; he loved it! A family day out which was easy, fun, and memorable. 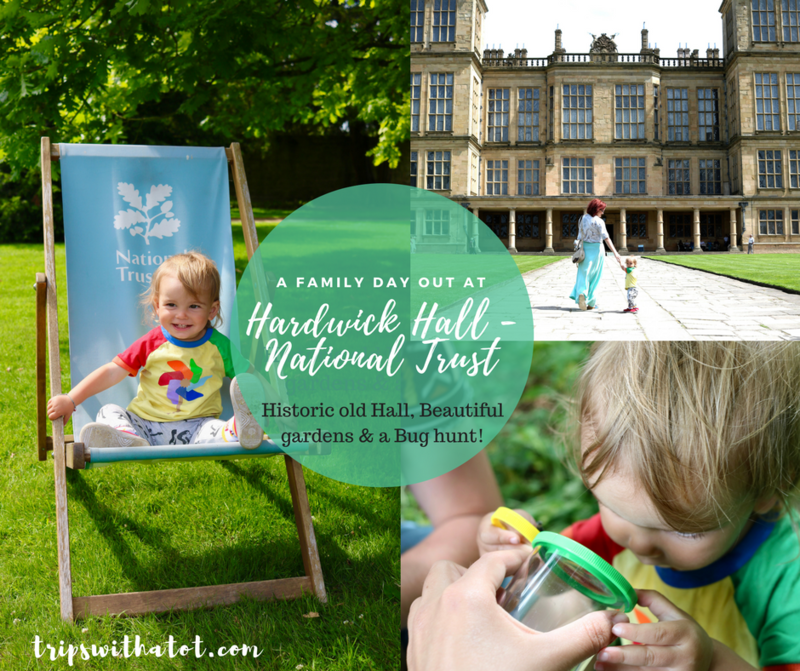 Our day out at Hardwick Hall was a treat; it was something that really was special. Maybe it was the atmosphere, or the fact it took us a while to get to, or because we just had so much to do and was never bored… but it was one of my highlights so far this year. I do love every National Trust I visit, but this one was a real treat. 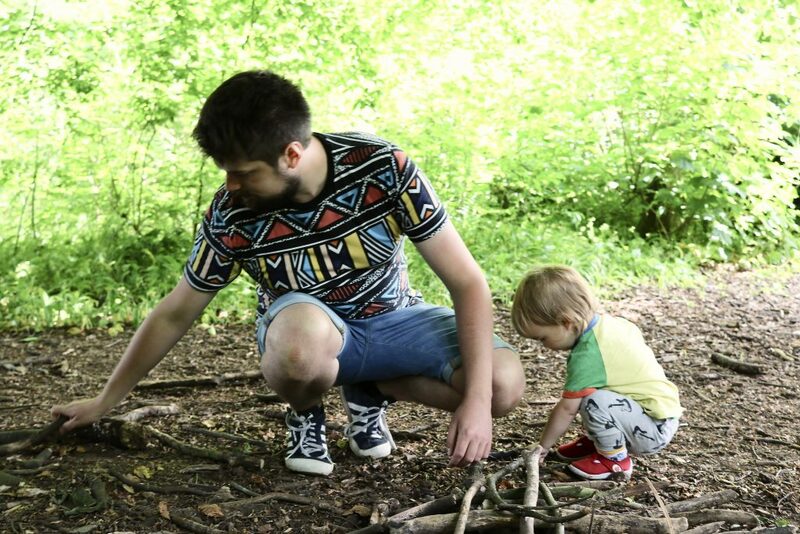 Eric is only young, but there was lots for him to do at a very low cost (woodland trail, bug hunt, family activities, games, exploring the garden, etc). It was a lovely day outside; but the Hall was unique, too. 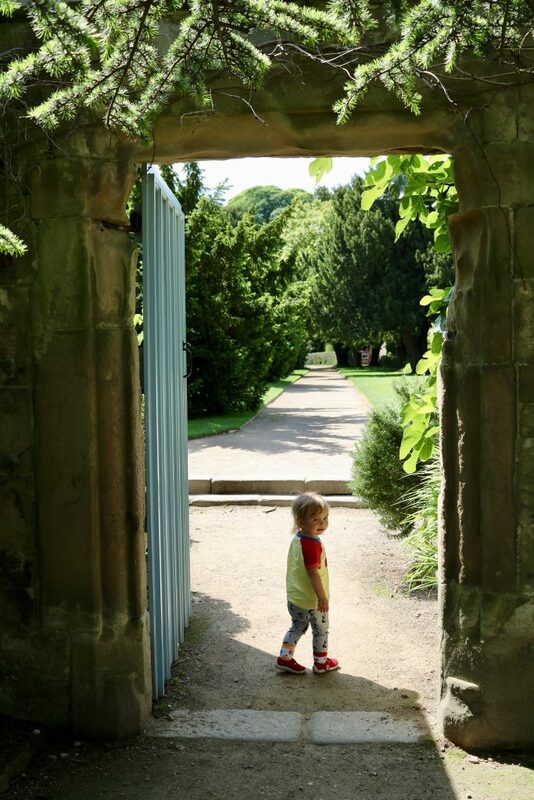 The weather was perfect, and I really enjoyed exploring the perfect gardens… but the Hall was full of treasures and the history of it has left me thinking all about the forgotten princess. I loved exploring with Eric and we made memories that will last forever. 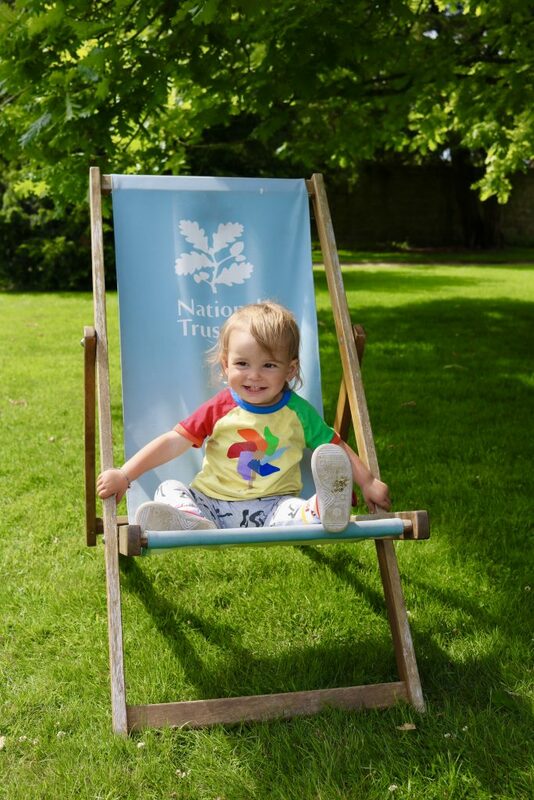 Thank you to National Trust who invited us on behalf of Hardwick Hall for a day out and supplied us with a voucher and goody bag (amazing, see the video!). They really are a fantastic cause and have only made me support them even more. All views are my own, and I was not paid to write this review, or make any content for this post. 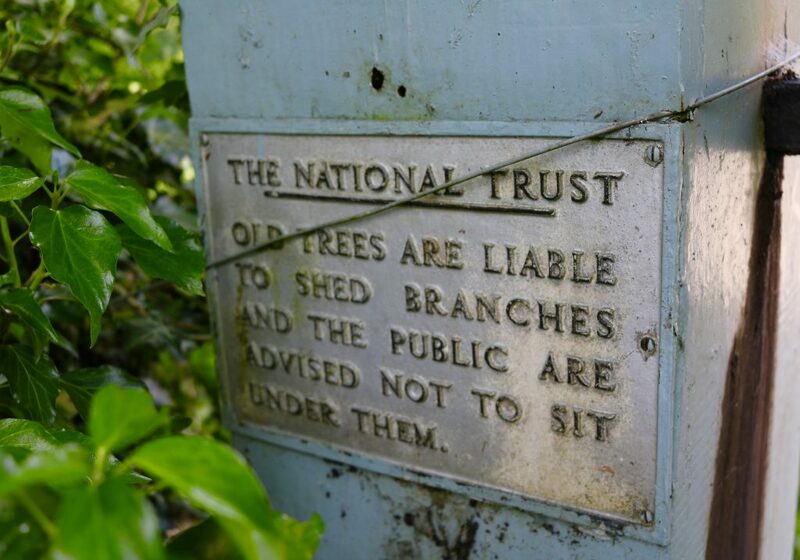 We had a really great day and it was all made doable by National Trust; so thank you! 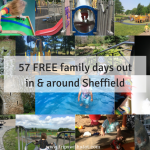 Are you interested in more National Trust days out near Sheffield? 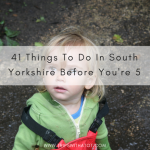 Check out these blog post: Exploring Longshaw Estate and Padley Gorge (with video) and a trip to Eyam Plague Village and inside Eyam Hall and Craft centre. 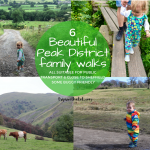 If you looking for more outdoors days out, check these family friendly walks, and my 100 days out without a car blog post. So much beauty – and what a history. 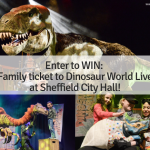 It looks and sounds like a wonderful family day out! 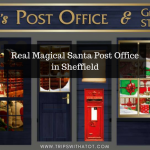 What a great post and another National Trust place to add to my list, thank you. It looks like a great day out and the weather was fantastic for you. 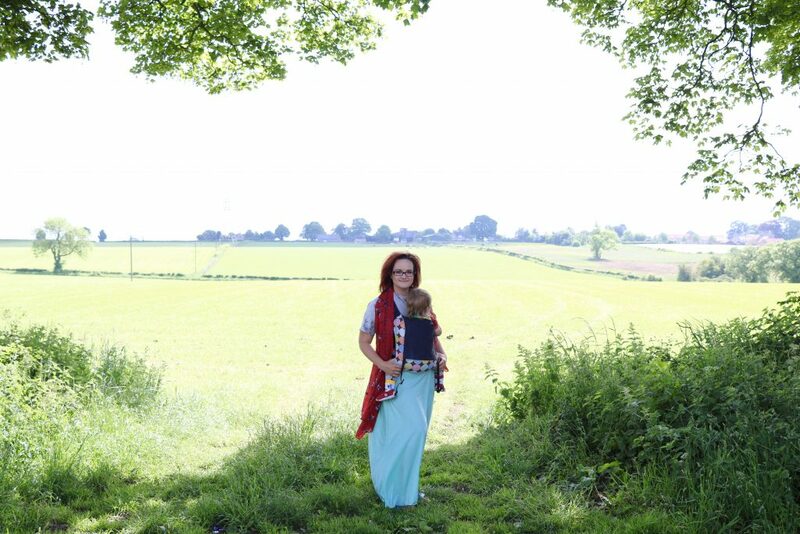 I loved your video and the photos are gorgeous too, definitely inspiring me to make the journey from Manchester. 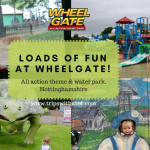 This looks like such a wonderful day out….Plenty to see and do. I haven’t visited Hardwick Hall in years (I grew up in Derbyshire) so will have to return with the kids when we’re next in the area. The fairy houses look great! Oh Hardwick hall looks just amazing. We have a NT membership but tend to just go to properties much closer to home. Next time we’re away for the weekend I’m definitely going to explore some properties further afield. Love the video too. 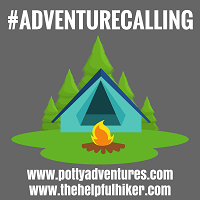 Thanks for joining us on #adventurecalling calling I hope you can again tomorrow.